Subcontracts - We are currently offering subcontracts for cleaning office buildings. We offer licenses so you can work as a self-employed business owner under the umbrella of ECC Ltd.
We do all the marketing, pricing, finding new jobs and new customers. If interested, please send in your resume. 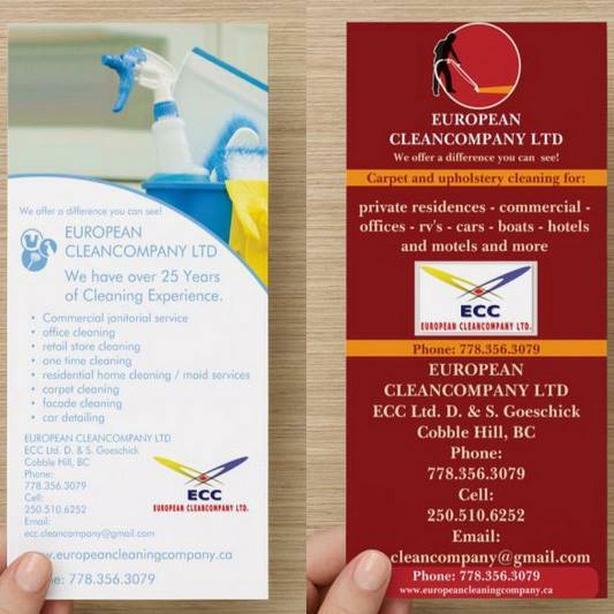 EUROPEAN, CLEANCOMPANY, LTD, Employment, - ECC is one of the best places to learn and work. All candidates must be Canadian citizens or eligible to work in Canada.